I love magazines. Always have and always will. When I spot a new publication at specialized press shops, I always try to buy the first issue.I am big fan of print, or paper as we used to call it, but more and more I also like some strong digital publications. This one brand new one (first published last July 2nd 2015) is digital and in print and really worth checking out! 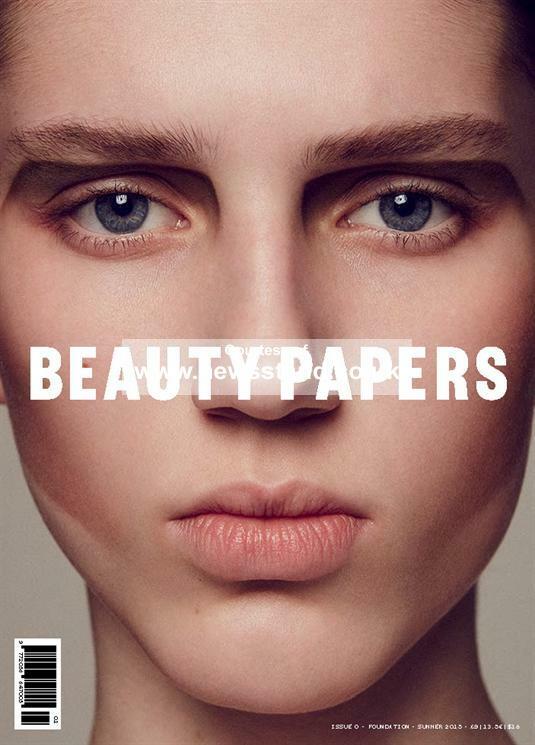 Beauty Papers is a creative biannual magazine about the culture of beauty. But not a beauty magazines as you would expect one to be. It’s a beauty report with a vision against the relentless imagery of pseudo glamour masquerading as beauty. Reality has nothing to do with this kind of photoshopped beauty” and the founders of beauty papers want to free the industry from this cliché approach. Most media bring stories of conformity, brand and formula. Beauty Papers is different. They aim to liberate beauty from “the peddlers of false hopes, hierarchies, religions and pornographers with a message of subverted beauty for their own end” , as they tell in launch interviews. The magazine was founded by make up artist Maxine Leonard and creative director Valerie Wickes. 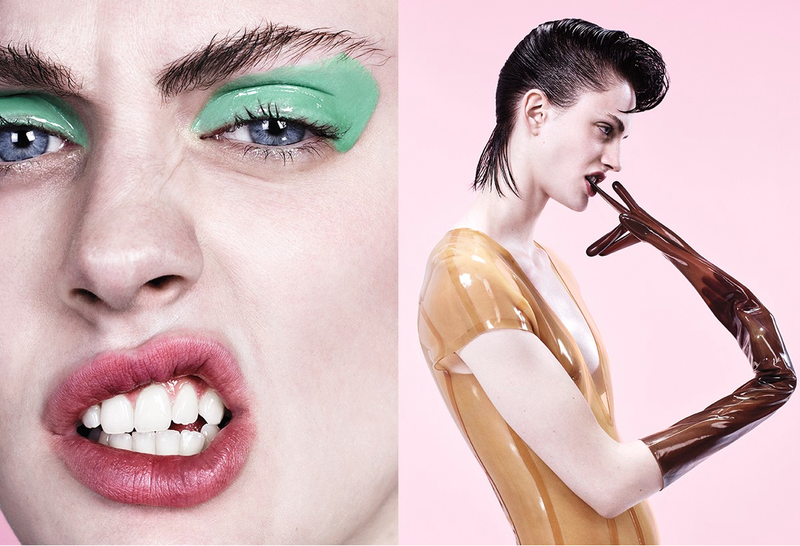 Carolina Otero, who cut her teeth at the Face, POP and Town Magazine is BP’s art director and the magazine’s design is by David Arnott and Dan Vallins. Beauty editor is Alexandra Pouliadis, skincare editor is Nichola Joss, nutrition editor is Rosemary Ferguson and casting director is Shelley Durkan. The publication brings specific themes like in issue 0, “the foundation issue”, is a visual and cerebral clash of ideas generated by some of the beauty industry’s most accomplished creators as well as up-and-coming talent, writers and commentators with a wider cultural view. Find opinion pieces from Kate Spicer, an essay on the allure of pale skin from an art history perspective and contemporary observations from Yasmin Alibhai-Brown’s powerful book Beyond The Veil. Plus an exclusive interview with Pam Hogg., striking imagery from photographers Ben Hassett, Benjamin Lennox, Ronald Stoops (and top make up artist Inge Grognard), Paola Kudacki, Dario Catellani, Pawel Pysz, Mari Sarai and Bruno Staub. And even more collaborators like Rosemary Ferguson, Bella Freud, Guinevere van Seenus, Apartamento magazine creator and photographer Nacho Alegre and a personal contribution from Serge Lutens. Without character and emotion, there is no beauty and it is too oppressive to present one ideal to women or men. Punk said, “screw the formula.” Beauty Paper sais “ liberate creative beauty, give beauty a brave new face”. There is nothing more inspiring than beauty when the chains are taken off. Just check it out for yourself. Examine and explore the ideas that show how we can understand beauty today. It’s fascinating, inspirational and controversial. Just like we love and hardly see anymore in other magazines. The only one who keeps on bringing this same vision & work on strange, different beauty is my friend and Belgium’s best make up artist Inge Grognard. I was not the least surprised to find her work in this first issue, or what do you think? She surely loves what they stand for. Available at distributed in major newsagents throughout London and WH Smith in Selfridges and all the airport terminals, Paper chase, book shops internationally in NYC, Milan and Paris. Asian boutiques in South Korea and Japan. All images courtesy of Beauty Papers.